POP! That’s the sound of the cork flying off the champagne bottle you just opened because you just successfully launched your MVP! The minimum viable product is now live in the open world of the Internet, waiting for eager users to test drive the its wheels off and throw in their two-cents while they’re at it. The MVP-development process may seem like a three- to four-month stint at a fitness camp, but the workload doesn’t ease up once it’s released; if anything, it only gets heavier. There are a number of important tasks that need to be completed once your MVP is launched to ensure further success; some are pretty obvious, others are often overlooked. It is critical that you get the first stages after your MVP right in order to seize opportunities and steer your business in the right direction. Here are four key activities that must be completed after launching your MVP to increase your chances of riding the wave of startup success. The launch of your MVP marks the start of the biggest learning phase of your startup career, so get ready to learn. Feedback: Gaining feedback from users will tell you whether to keep going down the road you are traveling, or to pivot and change direction. In order to gain the most useful information possible, you must keep your eyes and ears to the ground to get all the information you can from users, and proactively extract feedback from them as well. Prompting users to provide comments via social media is a great way to get the valuable and validated feedback you need to grow your MVP and business. Another way is to hold more structured feedback loops, such as striking up email conversations with users and conducting surveys. Analytics: Analytics are one of the most efficient and valuable ways of gaining information about initial users and requires very little leg work. In most cases, it just involves inserting a tracking code and then you’re on your way. The statistics then allow you to delve deeper into your users and their behavior, and provide you with a load of data not generally obtained directly through user feedback (e.g. geolocation, referral websites, visits over time, pageviews, actions, etc.). In addition to the long list of analyzable metrics, you can further measure your MVP’s performance in certain areas by creating goals and campaigns. User testing: Ever wonder what people think when they use your product? User testing puts a microphone in front of your target audience and provides you with authentic and extremely honest evaluations. Unlike friends and family, who have a tendency to sugarcoat their comments, this phase gathers feedback from anonymous strangers who will have no problem telling you exactly what they do and don’t like about your MVP. User testing highlights latent usability flaws and allows you to hear exactly what your audience wants so that you can make calculated changes and improve your application. There is nothing worse than a great idea that goes unnoticed. By this stage, you have already started validating your idea with an interactive prototype, so it’s important to get your MVP into the hands of interested users. The Internet is full of avenues to explore when marketing and advertising your product, and not all of them come with a high price tag. The most effective and economical way of advertising your MVP on a startup’s budget is inbound marketing. Actively posting on social media, regularly releasing blog posts, and creating an email newsletter are all highly successful ways of reaching your target audience and promoting your MVP, and all come with little or no operational costs. The benefits of inbound marketing have seen it become a vital part of many companies’ marketing strategies. “The number of marketers who state they are practicing inbound tactics rose from 60% last year to 85% this year, while the percentage of marketers who concede they don’t run inbound was nearly halved to 13%.” Source: State of Inbound 2014, HubSpot. If you don’t already blog on a regular basis, now is a good time to start. The key is to write about areas that relate to your business. Don’t forget about SEO, and keep the content quality high. Ensuring that you have an active presence on social media is a great way to keep existing users engaged and to attract new users. “Social media has a 100% higher lead-to-close rate than outbound marketing.” Source: State of Inbound Marketing, HubSpot, 2012. Email is an excellent way to deliver quality content straight to your target audience’s inbox. “59% of B2B marketers say email is the most effective channel for generating revenue.” Source: BtoB Magazine. Be sure to provide your users with opportunities to sign up for your mailing list by placing call-to-action buttons on your application and other marketing materials. Get in touch with websites and bloggers who have the audience you are trying to reach and generate a mutual business relationship. Networking is an incredibly powerful tool and one that presents opportunities on a daily basis. If you have a few extra dollars in your budget, then investing in Facebook Ads, Google Adwords, and even display advertising can be a worthwhile activity for delivering your MVP to more people on a wider scale. One of the most commonly neglected areas of software and MVP development is post-launch maintenance and support. Nurturing your application once it has been launched is just as important as developing it. The absolute last thing you need when presenting it to users and investors is for it to crash or experience performance issues. Having a dedicated system-administrator team monitoring, maintaining, and offering support will ensure your application delivers a high-level of trust and provides users with an operational application free from annoying performance issues. Another advantage of having a devoted sysadmin team is that it frees up time for you to focus on drumming up more business, closing deals, and working on your inbound marketing strategy. Post-launch maintenance and support is like travel insurance for your MVP – the only difference is you have a two in 10 chance of getting injured on holiday, and about a 10 in 10 chance of experiencing some sort of technical issues with your MVP – that’s just the nature of the IT industry. For the most part, the kinds of technical issues you are likely to experience once you’ve launched your MVP will be resolved before they affect your service, but only if you have a sysadmin team working behind the scenes. Once you’re armed with your feedback and data, it is time to continue the development of your application, so be sure to have some money set aside for this stage. 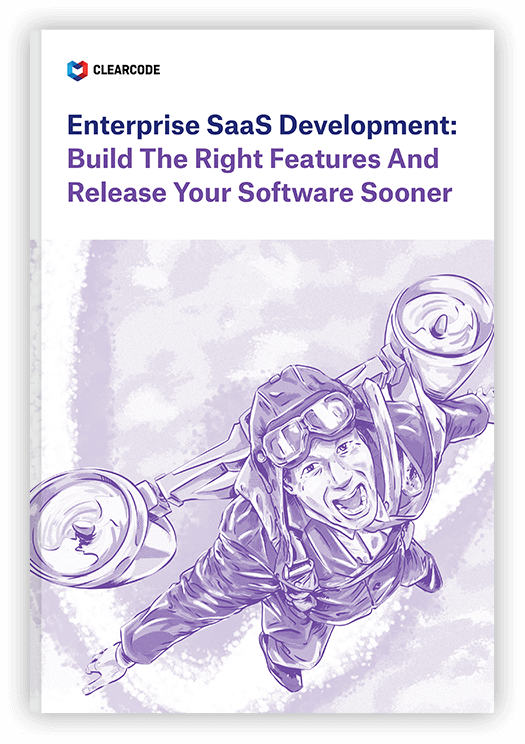 Based on the information you have collected from all your sources, you and your Technology Partner will be able to decide on the course of action for your application’s next release. A large part of this will be centered around building upon existing features and the user experience. This is also the ideal time to start pitching your MVP and business to investors. Now that you have an operational application with feedback from users and a plan of action for further development, you can really start selling your application’s potential as a business, rather than just an idea. 1. Create an account on AngelList. This is a great way to find investors and help them find you. Put your name and MVP out there by guest blogging and taking an active role in your application’s target market. 3. Create a list of investors you want to pitch to. Narrowing down your list of potential investors based on their relevance to your business will not only save time, but will also increase your chances of securing an investment. Because investors receive loads of emails from startups like you every day, sending your introduction to an investor via a mutual connection will increase your likelihood of getting a response. The post-launch phase of your MVP is a very important part of your application’s lifecycle and requires constant nurturing and change, from refining the user experience to making product adjustments. It is important to keep in mind that up until this stage, you’ve made a lot of assumptions regarding your product and how your customers will experience it. Some of those assumptions will be validated, others will be disproved, and you will have to revise and test them again in the next release. To learn more about the MVP development and prototyping process, download our FREE guide How to Build MVPs Using Rapid Prototyping by clicking on the image below.